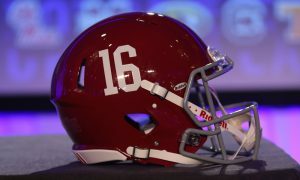 From top to bottom, the University of Alabama carries student-athletes at wide receiver on its football program that could probably start at any other major school in Division I. 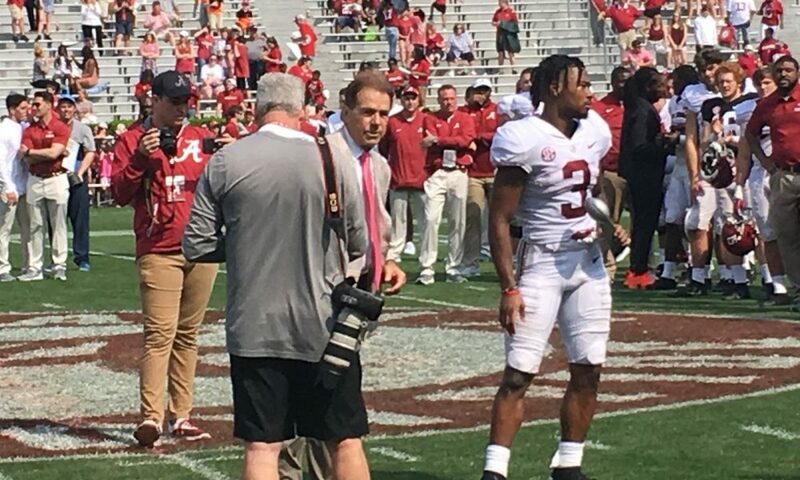 While the veterans such as Jerry Jeudy, Henry Ruggs III, DeVonta Smith are back as juniors, sophomore Jaylen Waddle looks to do more damage as well. 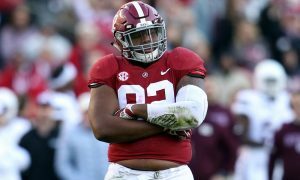 The native Texan had a freshman season where he had 848 yards with seven touchdowns, earning Southeastern Conference All-Freshman Team honors from the league’s coaches, Associated Press and Football Writers Association of America. 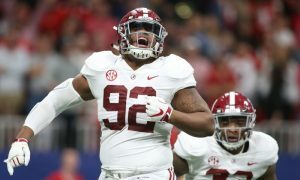 Despite the old heads being at Bryant-Denny Stadium for the final practice of the spring semester, it was the Crimson Tide’s youth at the position that ignited joy and generated conversation in White’s 31-17 win over Crimson in the A-Day Game on last week. 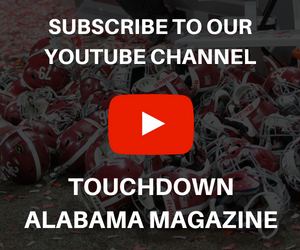 Throughout the spring, sources constantly provided Touchdown Alabama Magazine with information on John Metchie. The freshman from Canada was a standout in 13 sessions – including two scrimmages – but saved his finest work for the 60,000+ over the weekend. 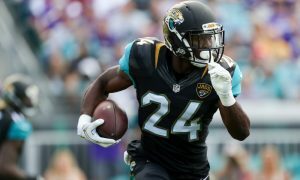 He was targeted five times and caught each pass for a game-high 133 yards, with his longest reception coming on a 49-yard connection to him from Mac Jones. 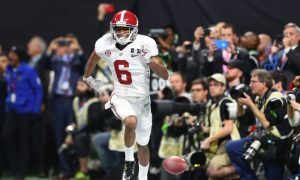 Metchie’s long catch was reminiscent of former Tide receiver, Calvin Ridley when he brought in a 50-yard bomb in his freshman season (2015) off Jacob Coker in the Goodyear Cotton Bowl versus Michigan State. The 6-foot, 195-pound four-star averaged 26.6 yards a catch and his performance earned him the Dixie Howell Memorial Most Valuable Player of the A-Day Game Award. He was voted as the winner via the media. Metchie had the big day, but the trio of Tyrell Shavers, Xavier Williams and Slade Bolden all did something to catch attention. Shavers, who is listed at 6-foot-6 and 205 pounds, tallied 45 receiving yards on four catches. Williams, a freshman, posted two catches for 35 yards – including a 22-yard touchdown in the third quarter to give White a 17-10 lead. As for Bolden, the Louisiana native caught a pass (six yards) and completed a 32-yard pass. 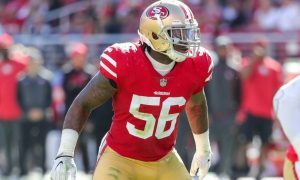 Nick Saban is not for the media making a big deal out of certain players in a spring game; however, he did compliment Metchie on his performance. 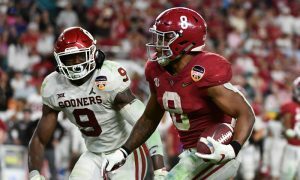 The ability for the Tide to stack exceptional talent at receiver each year is remarkable and the upcoming season will be more of the same explosive plays. The veterans are marquee, but keep some eyes on these young guns in fall camp. A few of them could see some action next season.